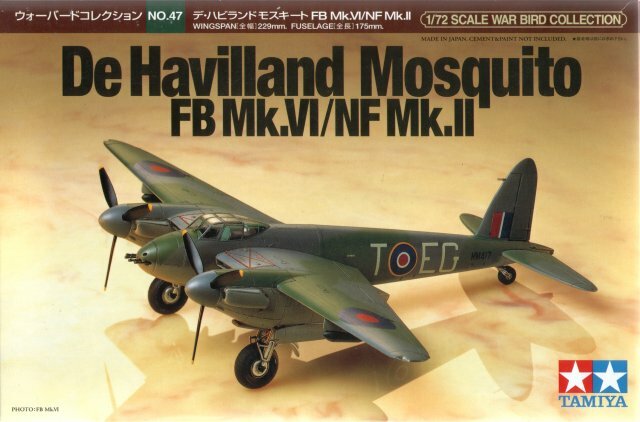 Tamiya 1/72 de Havilland Mosquito FB.VI/NF.II model kit box art. 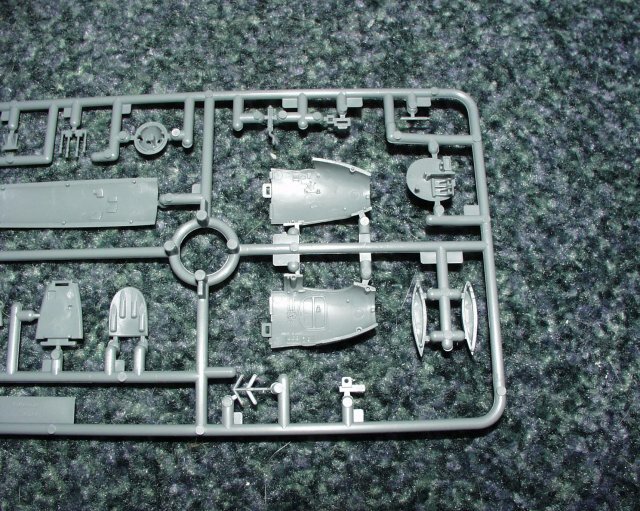 Kit contents (+ instructions and decals). The moulding quality of the Tamiya 1/72 Mosquito FB.VI/NF.II model is excellent. Slight flashing is evident on one or two very small parts. Detail levels on the kit are also very good. 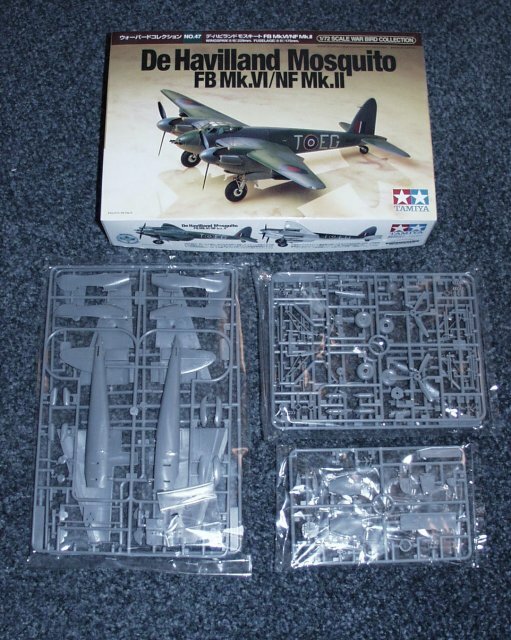 The kit comes complete with parts and decals to finish the kit as one of 3 variants, an FB.VI of 487 Squadron RNZAF, an FB.VI of 143 Squadron, or an NF.II of 157 Squadron. 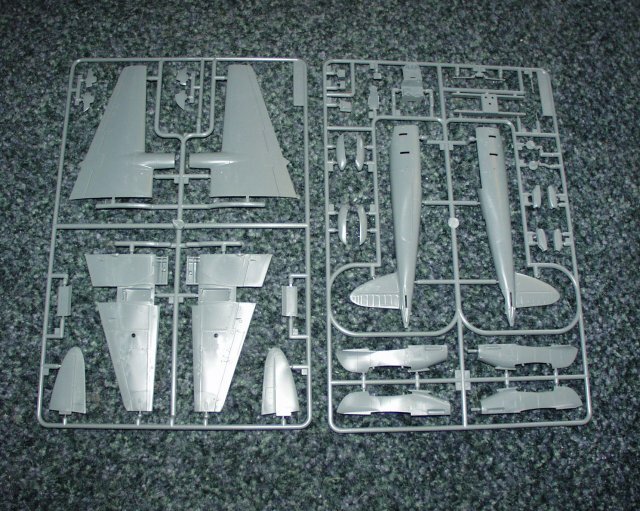 Have you built any Mosquito models? Would you be willing to write a review for inclusion on this page? If so, please contact me. Comments or additions? Please contact me.